“IEEE1394driver_V1065.exe” is a device driver for our thermography of IEEE1394 (self-extracting files). The following steps should help with the installation please. 1) “Device Manager” to appear. Then “Imaging Device” in the “NEC San-1394 TH7100 Handy Camera” Select the right mouse button menu. From the menu “Update Driver Software...”. 2) “Hardware Update Wizard” displays. 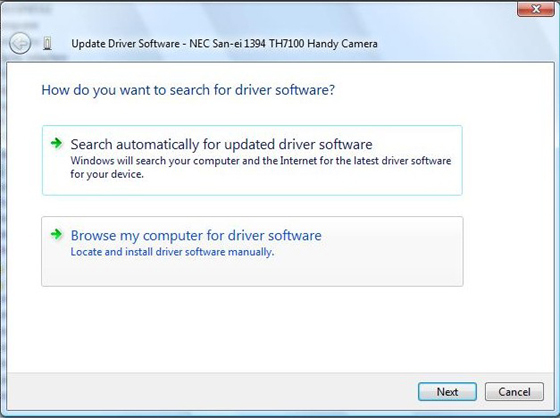 Then “Browse my computer for driver software” and select the “Next” button. 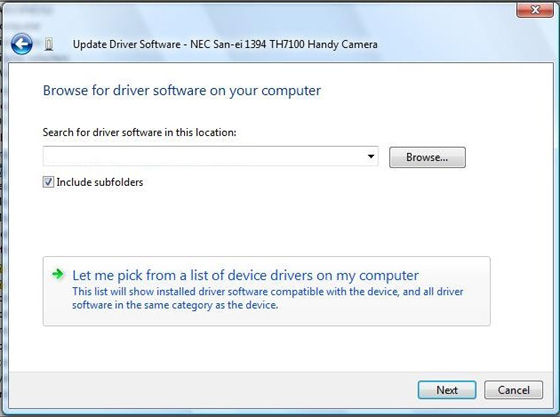 3) Then “Let me pick from a list of device drivers on my computer” and select “Next” button. 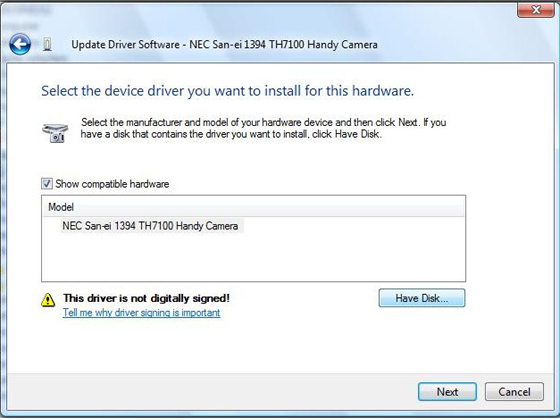 4) “Have Disk ...” the document referenced in the driver dialog to specify a preference Infrared camera driver (IEEE1394driver_V1065.exe unzipped first), please specify and install.